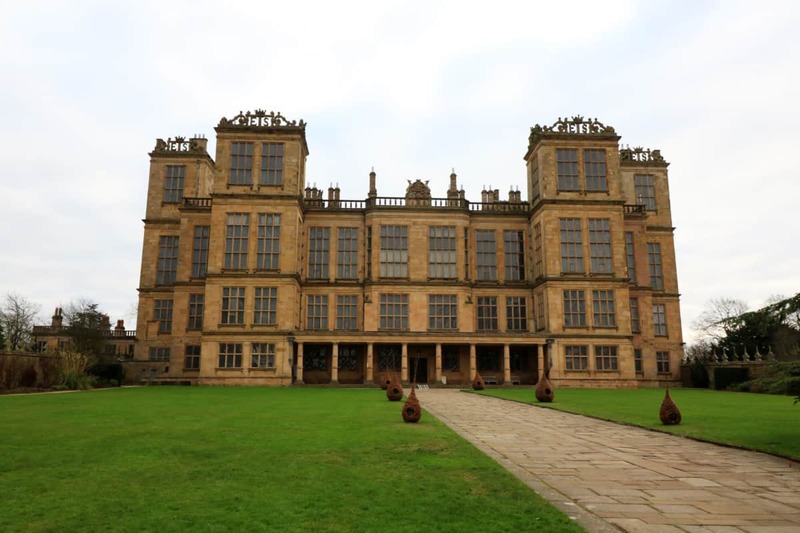 This year we are aiming to visit as many Harry Potter filming locations across the country as possible and we started our adventure with a National Trust property, Hardwick Hall in Derbyshire. 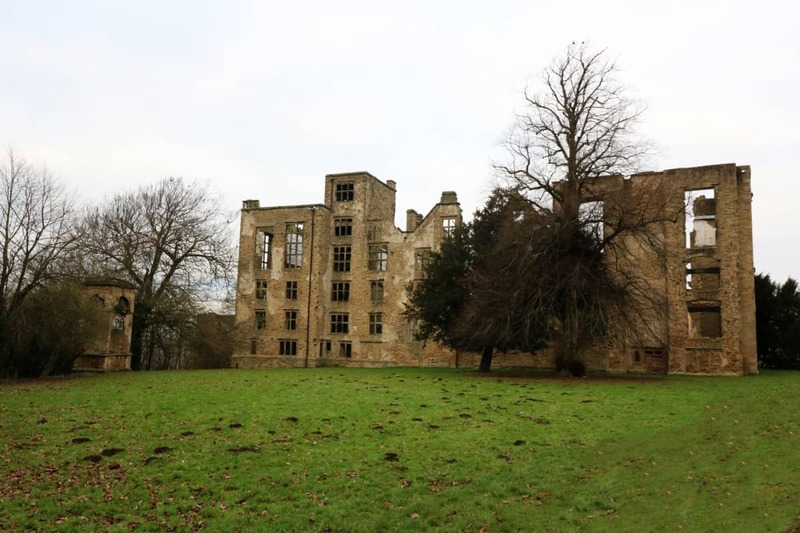 It was Malfoy Manor in the movies and as soon as saw it we could understand why – it’s such a vast and imposing building but beautiful too. 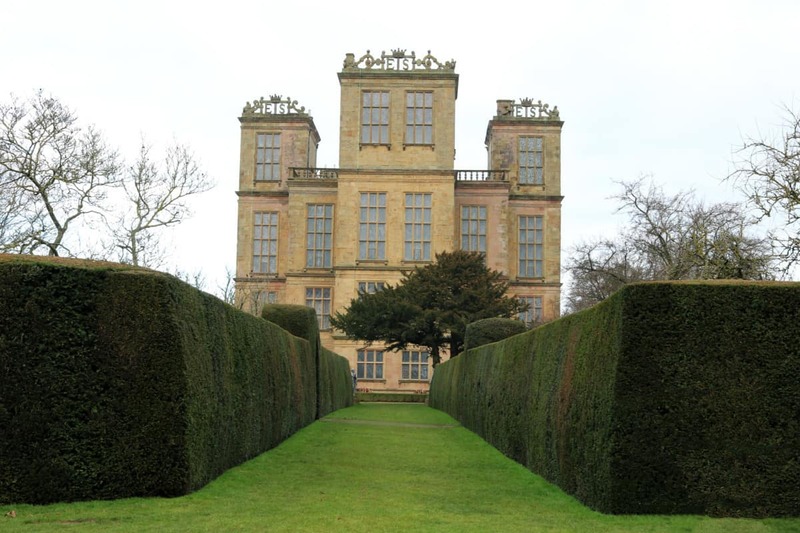 Hardwick Hall was lovely to visit. 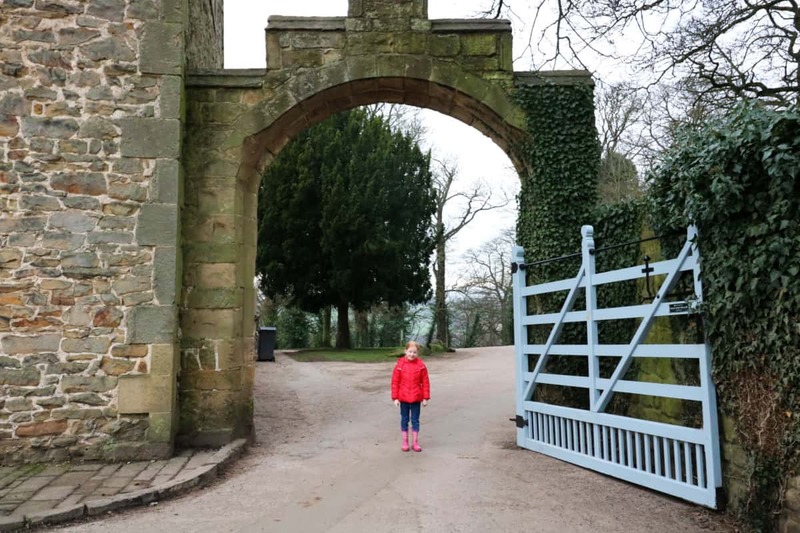 With a really long driveway giving views across the Derbyshire countryside and plenty of parking. There was a visitor’s centre at the entrance and then we were free to explore. 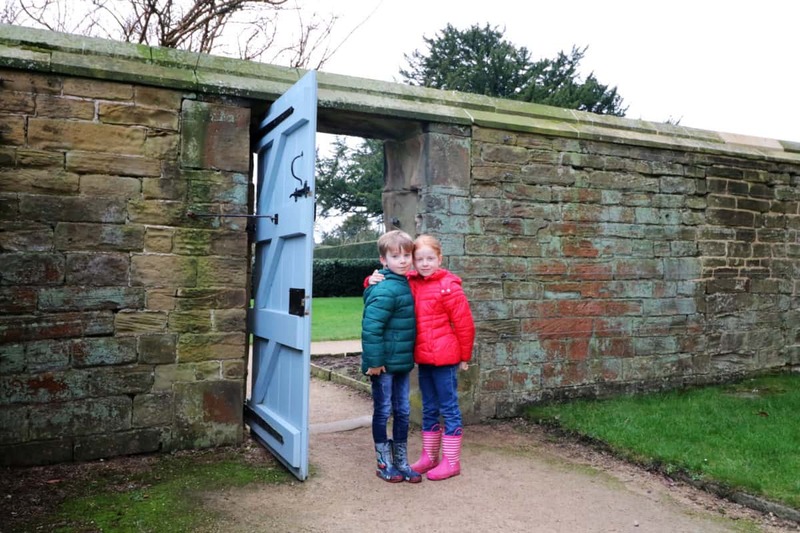 The first part of Hardwick Hall you come to is the shop, restaurant and toilets which is all in a converted barn building. 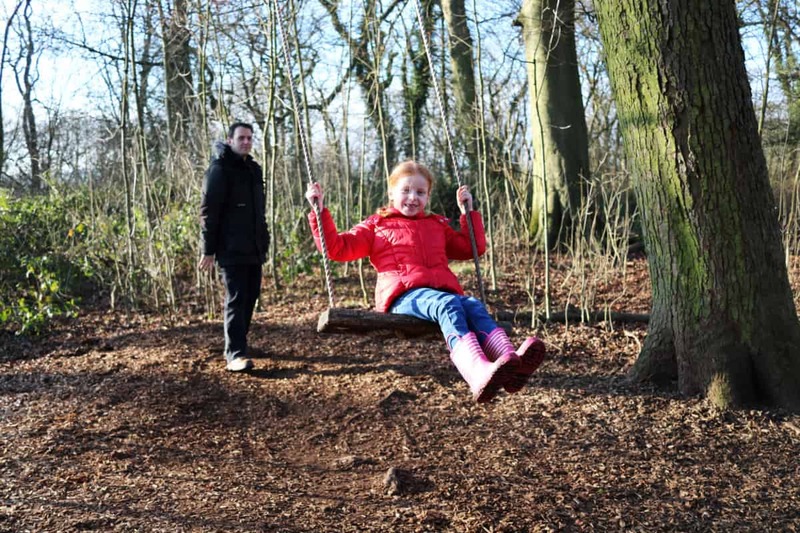 There’s a lot of open space outside along with ride on toys and den building for the children and I’m sure this would be a really popular spot in the summer. 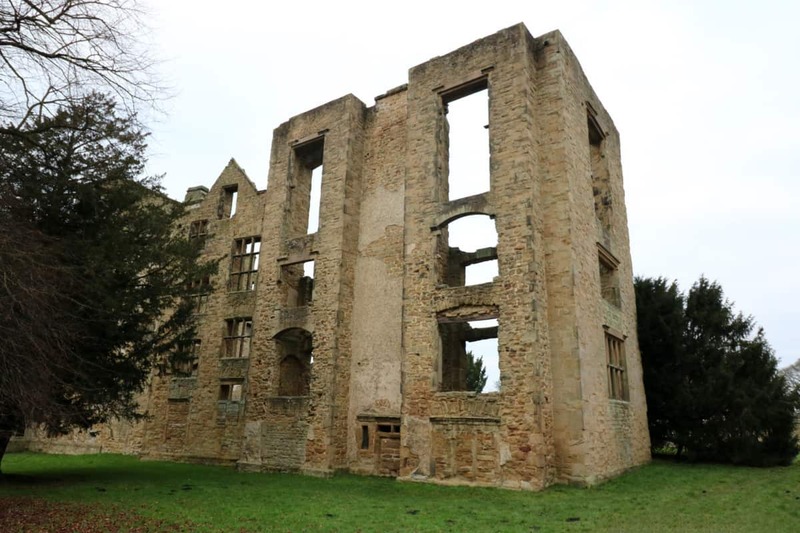 We then had a short walk to Hardwick Hall which took us past Hardwick Old Hall – which is actually part of English Heritage rather than National trust. 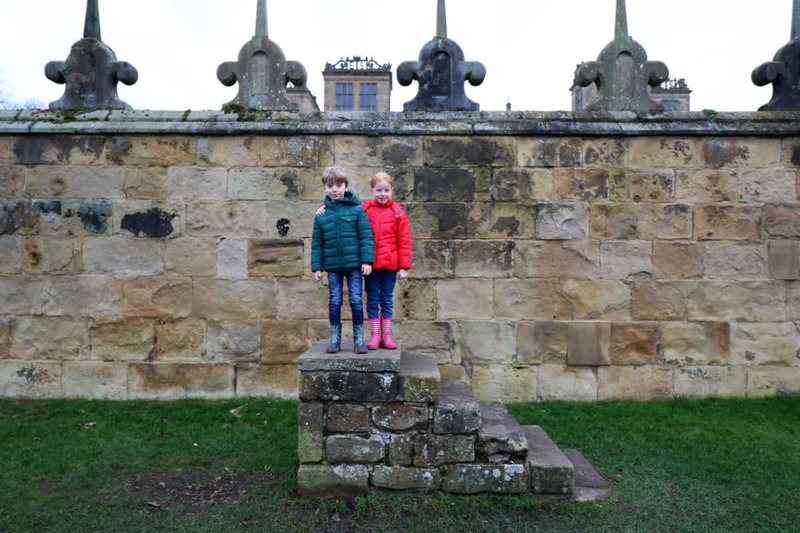 This was closed apart from an exhibition when we visited so we headed straight to Hardwick Hall, stopping for the children to climb some stairs on the way – and learn that they used to be used to mount horses. 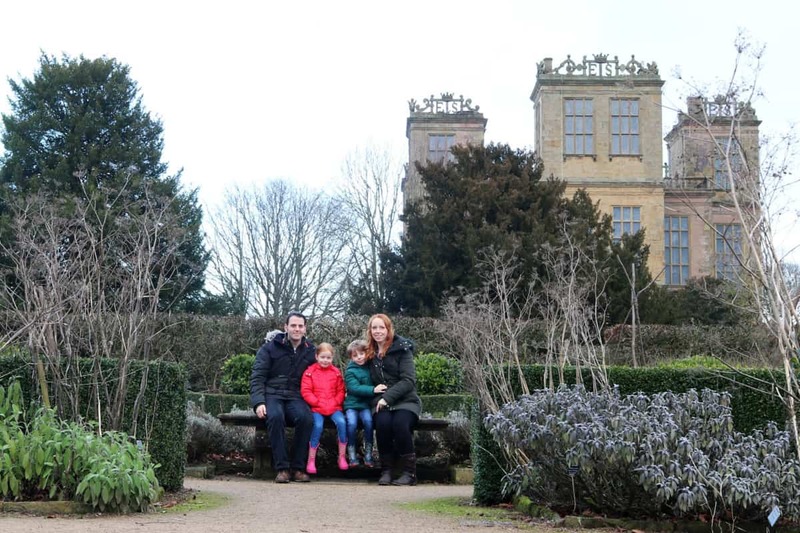 Hardwick Hall was closed when we visited but we had mainly visited to see the hall from the outside and spend time in the gardens. The hall was so impressive to walk around and with gardens surrounding it you got to appreciate it from different angles too. It also had a runway almost carved into the ground running straight in front of the hall. This is a reminder of the part it played in the war and gave a really great view over the countryside. 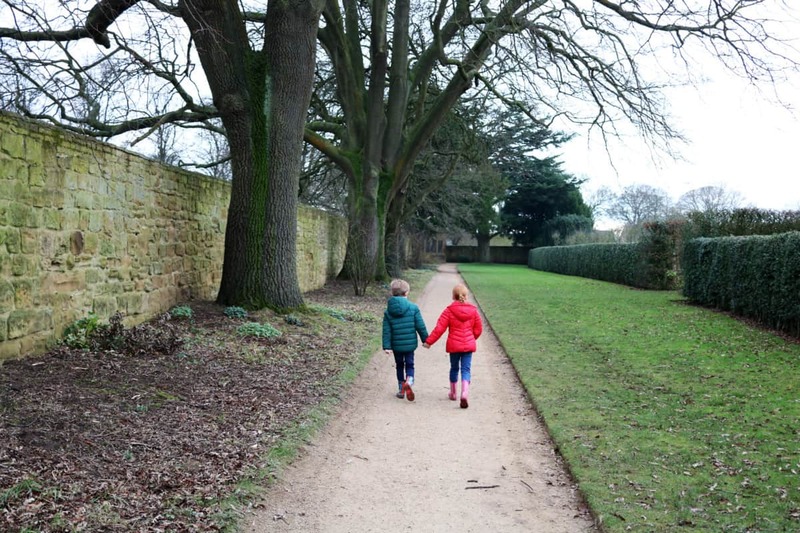 The formal gardens at Hardick Hall were lovely to walk around and the children loved hiding behind hedges and looking for gates into other parts of the gardens. It was a real adventure. After spending some time exploring the gardens we went and had tea and cake in the restaurant. There was a full restaurant menu but we were happy with slabs of cake and hot drinks all round. National Trust cakes are always such great quality and a real treat. 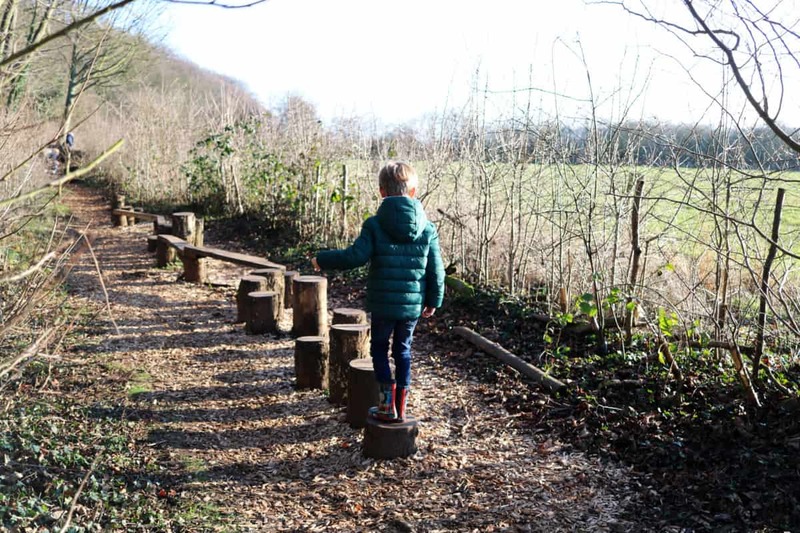 Before we went home we ventured to the woodland trail which runs along the side of the car park. 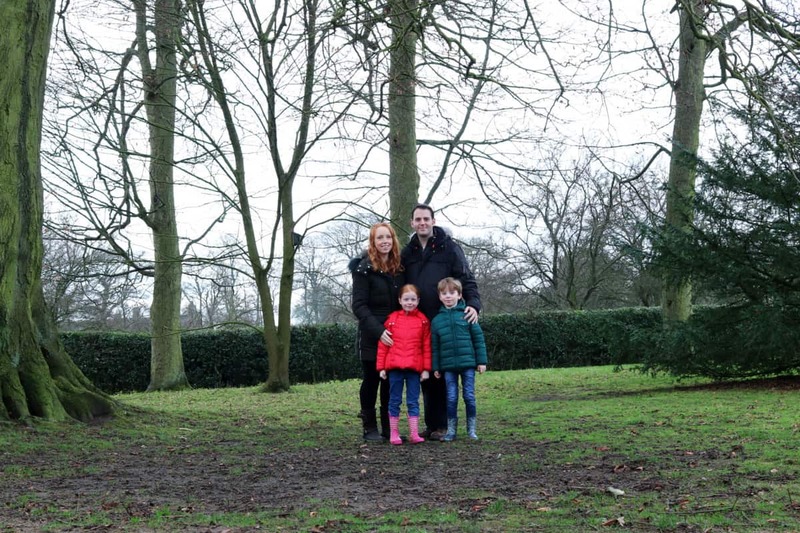 We’re really grateful that the National Trust staff pointed this out to us on the map or we could have easily missed it. 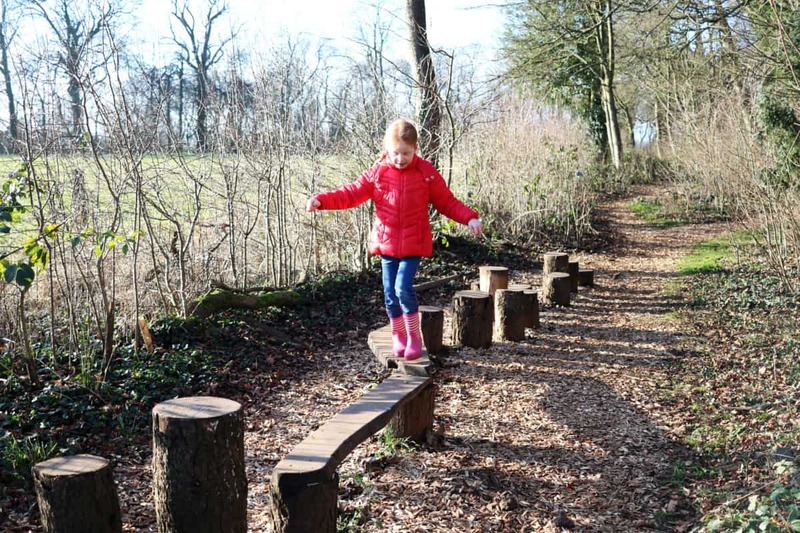 The trail had fairy doors to find and so many activities – it was a real natural playground in the forest. 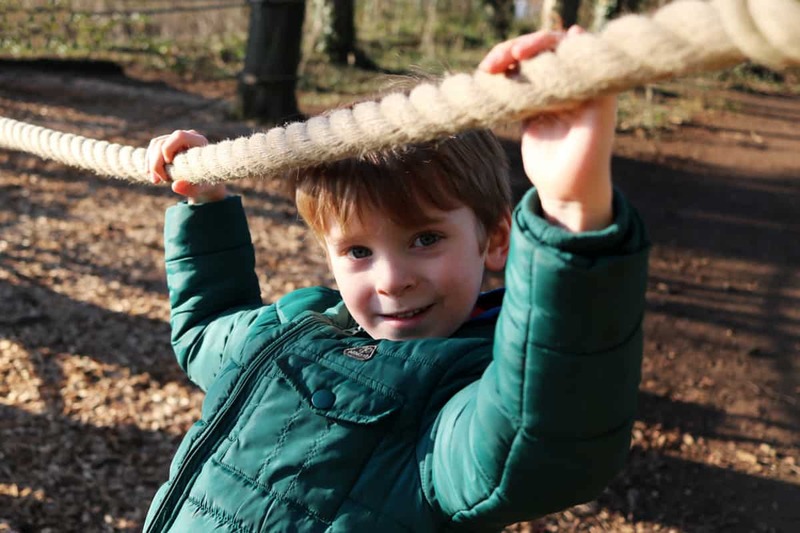 There were ropes to climb along, fallen trees to climb over, swings and so much more. 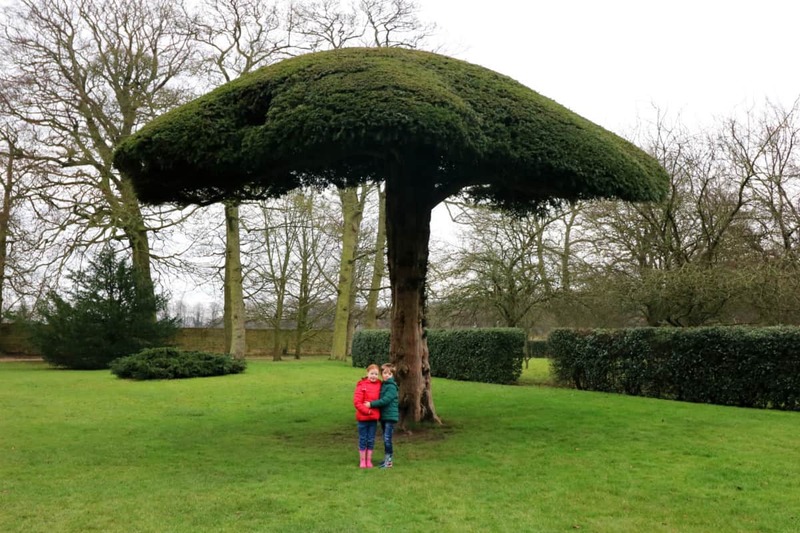 This was by far the children’s favourite part of the day out. 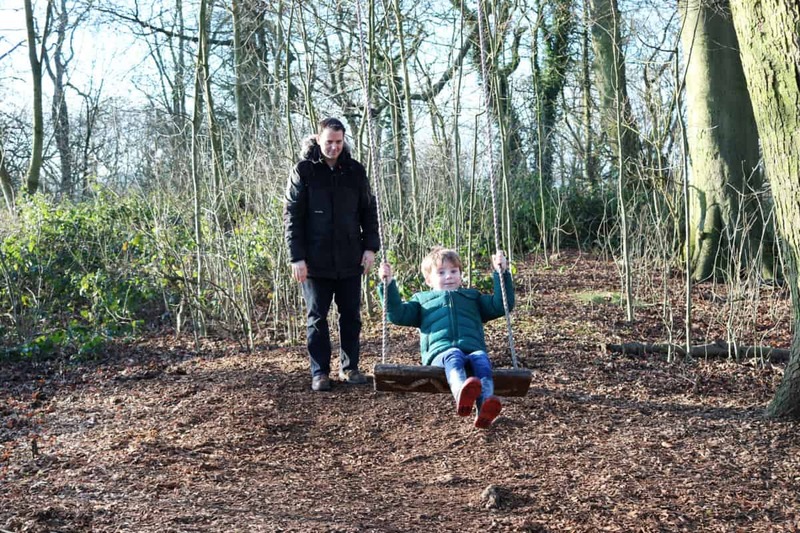 LP and Little Man could have easily spent the day in this area and there was so much to do that they would never have got bored. 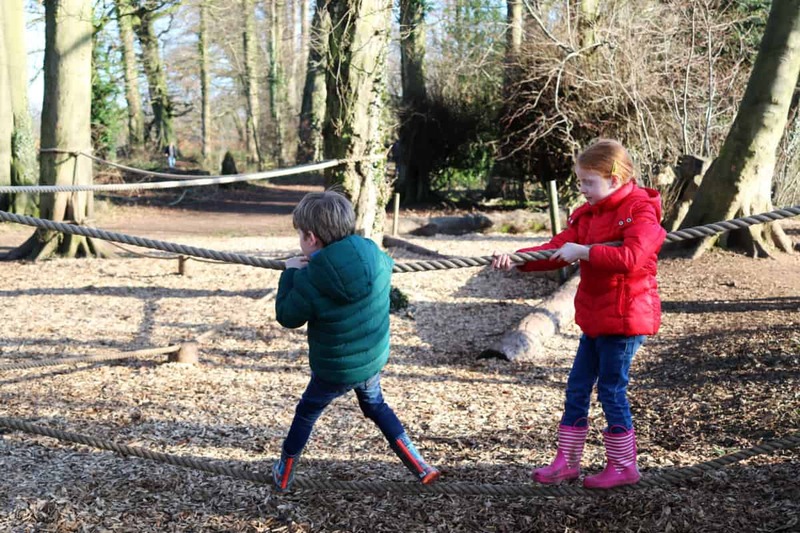 Quite a lot of it tested their limits – with tree trunks to climb straight up on, really slim balancing beams and a fallen tree that created an impressive climbing structure with high nets to climb up either side. 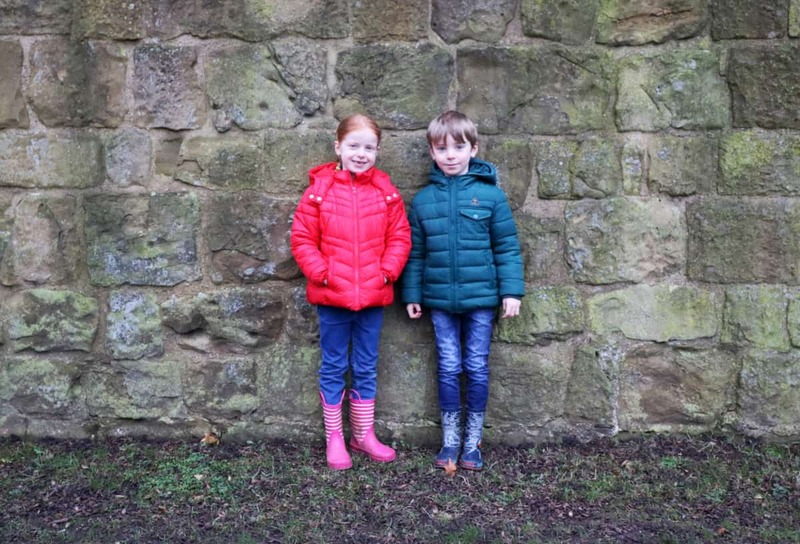 Our day at Hardwick Hall was lovely and although we only spent a few hours there it could easily be a really full, fun day out for the whole family whatever the weather. Ahh this looks lovely. 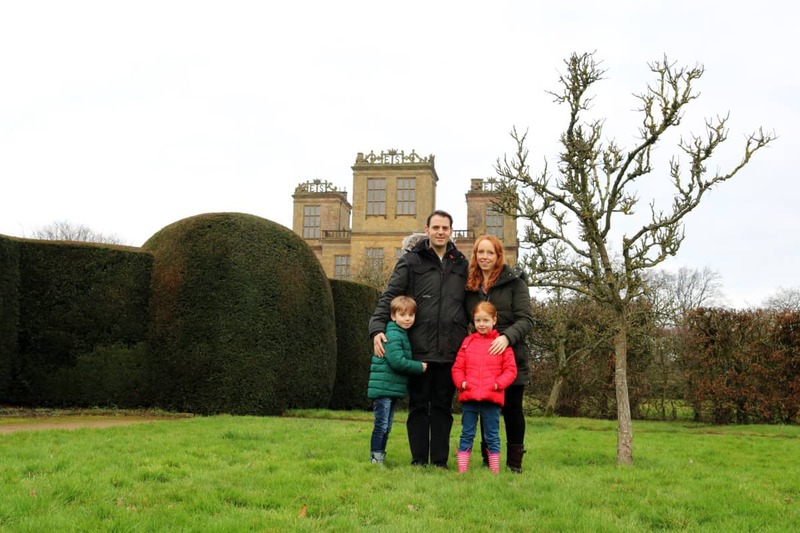 National Trust properties are always such a great day out. 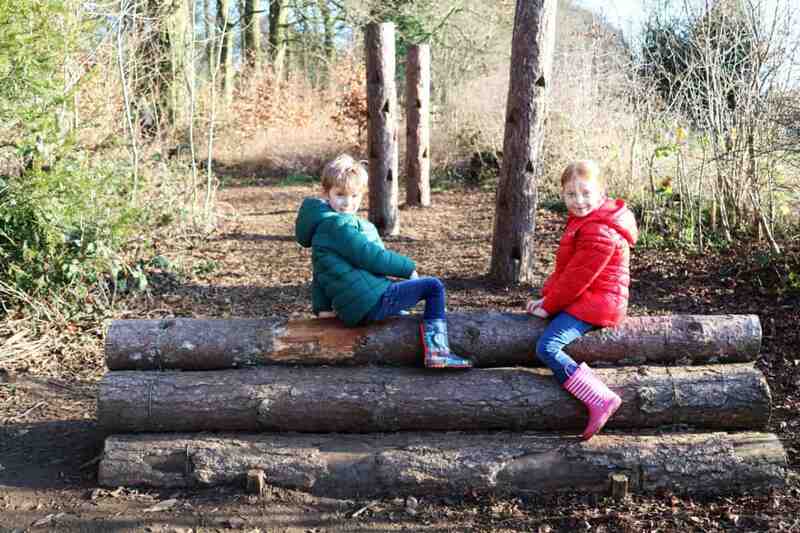 My two love their natural play areas as well. It’s also helpful that most of them are dog friendly so they make good stop offs when we’re travelling in the van!